George is working in a highly successful local group Key Residential & Commercial to further his dream in real estate to work with a vibrant team of experts. 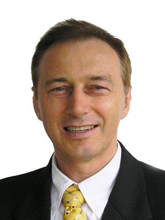 George’s career in real estate has been built over 20 years His vast experience comes from extensive sales and management expertise in residential and commercial real estate, managing real estate companies, running business seminars and doing business between Australia, Asia and Europe. George’s outstanding educational knowledge was gained at Universities and TAFE in Perth where he studied and completed accounting, finance, business and languages studies. His passion for real estate led him to attain a full Real Estate Agent license. He never rests on laurels and keeps on updating his skills with one thought on his mind to provide an educated and right advice to all his clients. His intimate knowledge of Japanese, Polish, Chinese, and other languages and cultures allows him to offer his professional real estate expertise to a diversified group of clients. When you will be dealing with George you can be assured that your interest will always be looked after with meticulous diligence to every step that would involve. UNDER CONTRACT !!! ANOTHER WANTED !! Fully renovated villa with new kitchen, new tiled floors and sparkling clean feel throughout. Nothing to spend and enjoy a convenient location second to none.